Jacqueline (Forde) Straker, known to everyone who loved her as “Jackie,” passed away on June 7, 2018 at the age of 65. Jackie was born in St. Michael, Barbados, W.I. on December 19, 1952 to the late Grafton Wharton and the late Irene Morris. Jackie emigrated to Boston, MA in 1971. Before retiring in 2009, Jackie was employed at Boston Gas Company for 37 years. 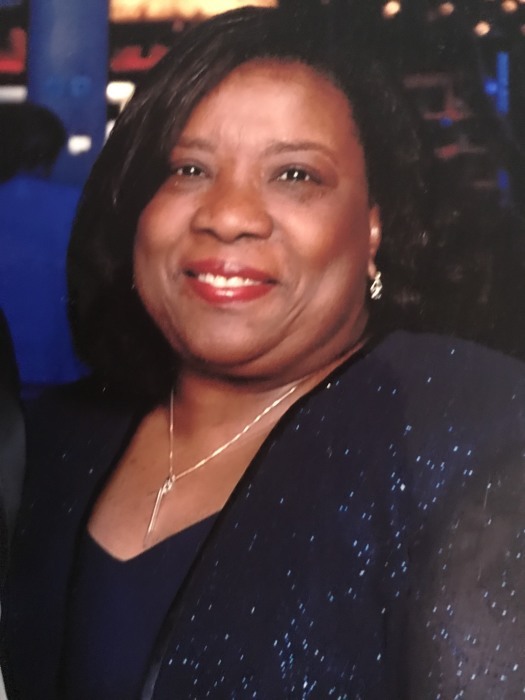 Jackie was an active member of St. Bartholomew’s Church in Cambridge and was a founding member of the Caribbean Heritage Association. Jackie often gave her time and any resources she had to those in need. She will be remembered for her extreme generosity and her beautiful, welcoming smile. Jackie will be lovingly remembered by her devoted husband of 41 years, Darnell Straker of Medford, MA, her children, Carolyn Gill (Rashaan Brown) of Boston, MA, Carolyn Daley (Justin) of Brockton, MA, Andre Straker (Allison) of Lowell, MA, Derek Straker of Marlborough, MA and Kayla Straker (Troy Cox) of Brockton, MA, her six grandchildren Preston, Jaxon and Amaya Daley and Cameron, Vivian and Miles Straker, her brothers Ancil Forde of Barbados, Frederick A. Forde and his wife Angela of Barbados and Frederick W. Forde of Atlanta, GA, her sister Veldene Bradshaw of Barbados, as well as a host of other family members and friends. She was predeceased by her brother, Wade Morris and her sister Pancilla Smith. A celebration of Jackie’s life will take place on Friday, June 22, 2018 at St. Bartholomew’s Church, 239 Harvard Street, Cambridge, MA 02139. Visitation will be held from 9:00 – 10:00 AM, directly followed by the funeral service at 10:00 AM. The burial will immediately follow the service at Oak Grove Cemetery in Medford, MA.